Rice University: Will cut next year’s operating budget by 5 percent, while increasing financial aid. Hasn’t announced 2009-10 tuition. Houston Baptist University: Will cut 10 percent of faculty. Applications and requests for financial aid both up. Tuition for next year up 6.2 percent. 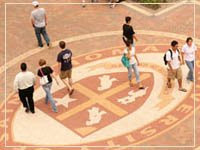 University of St. Thomas: Will cut next year’s budget by an undetermined amount. Will add at least $250,000 to next year’s financial aid budget. Tuition for next year up 6.2 percent. 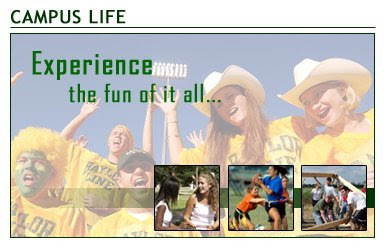 Baylor University: Applications up, but acceptance rates expected to drop. Tuition for next year up 7 percent. Southern Methodist University: Will cut next year’s operating budget by 5 percent. Tuition for next year up 6 percent. Texas Christian University: Will cut next year’s operating budget by 8 percent. Financial aid budget increased by 5 percent for 2009-10. Tuition for next year up 5 percent. “Without financial aid, I wouldn’t be here,” said Tammy Vo, a freshman at the University of St. Thomas. Vo graduated from DeBakey High School in Houston last spring and applied to universities in and outside of Texas. She said the University of St. Thomas, a Catholic college in the Montrose area, proved a better deal than most public schools. Private schools are making that argument more often in light of rising unemployment and a weak stock market. The financial aid package is what matters. Not just the sticker price of tuition, room and board. What are those smaller private schools willing to give you? It may be increasing in this poor economy.